It is with great excitement that Linda and Bob Carey announce the debut of the first ever New York City gallery event to benefit the Carey Foundation. It’s a weekend full of celebration! The net proceeds from all events will be donated to the Carey Foundation. Our Anniversary Celebration begins Friday night with a fundraiser. 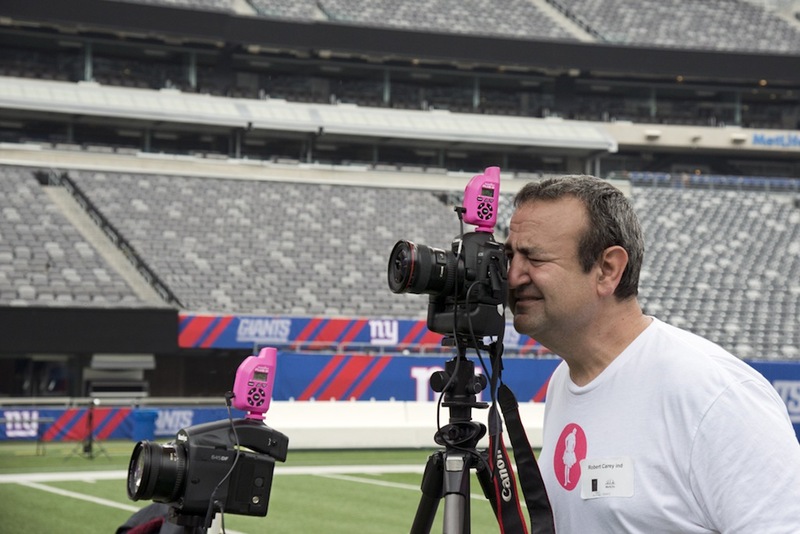 This event officially launches the bidding on a limited edition of 20 PocketWizard Plus® III radio triggers in “Tutu Pink”, made specifically for the Carey Foundation. These are the same units Bob uses to trigger his cameras when photographing himself for The Tutu Project. Each unit is numbered and signed by Bob Carey. PocketWizard will also be announcing a limited edition G-Wiz bag in “Tutu Pink”. In honor of the one year anniversary, Bob also plans to unveil a brand new Ballerina image set in New York City. Limited edition prints will also be sold at the event. All net proceeds of the auction to benefit the Carey Foundation. Follow us on Twitter for an opportunity to get invited to this event! Saturday the Anniversary celebration opens at 10 am. For a donation, visitors can take a first-hand look at some of the most popular images of The Tutu Project, and be amongst the first to see the launch of Bob Carey’s newest New York City Ballerina image. Space is limited! At 1:30 PM, Bob will be hosting a closed-door lecture for photography professionals and enthusiasts. More information on the lecture to follow. Ballerina books will be available for sale and the Careys will be on location to sign them. Prints will be available for sale, printed on ILFORD paper by GOTHAM IMAGING in New York. This event will be hosted at #TheLabNYC, a premiere event space in midtown Manhattan just blocks away from Penn Station. If you or your business are interested in helping support this amazing event with a corporate donation, please contact linda (at) careyfoundation.org. Help us make a difference in the lives of the families we support. The Carey Foundation is a 501(c)3 non-profit organization. Thank you to everyone that attended this amazing event!